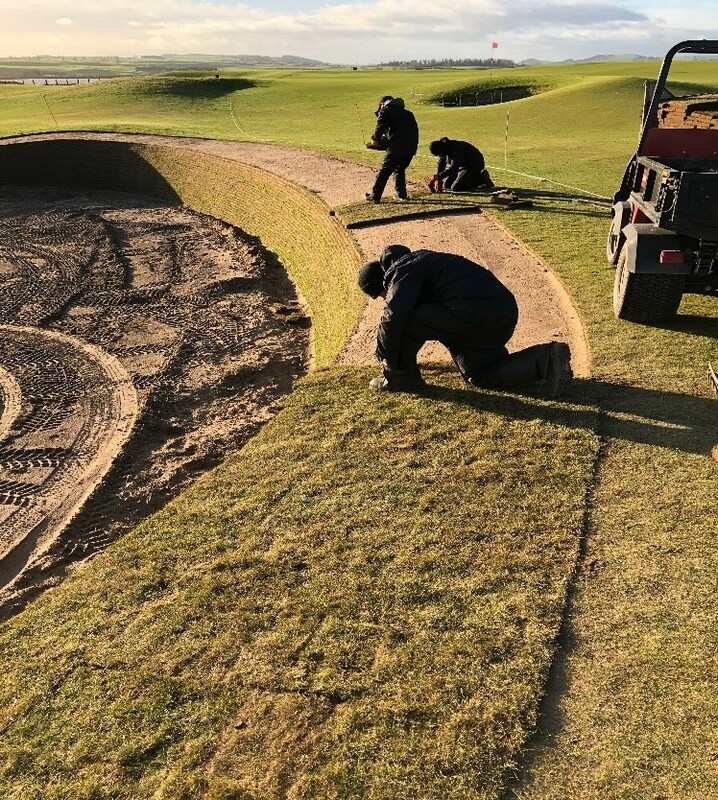 The biggest reconstruction of a bunker this winter is now complete and it’s back in play. 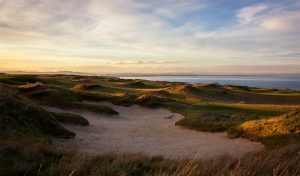 The face of Shell Bunker on the Old Course needed time to settle and we wanted to preserve and protect it as long as we could. 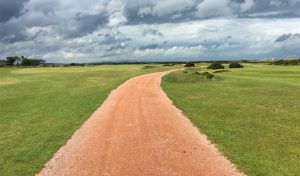 Leaving it for a while had its advantages as it allowed us to concentrate on other parts of the golf course. Once the face of the bunker was fully settled, it was time to turf the top of it. For consistency, we used the same thickness of turf as we did for the revetted face. The total amount of turf used for this build was roughly 2700 square metres which we sourced in house from our turf nursery. 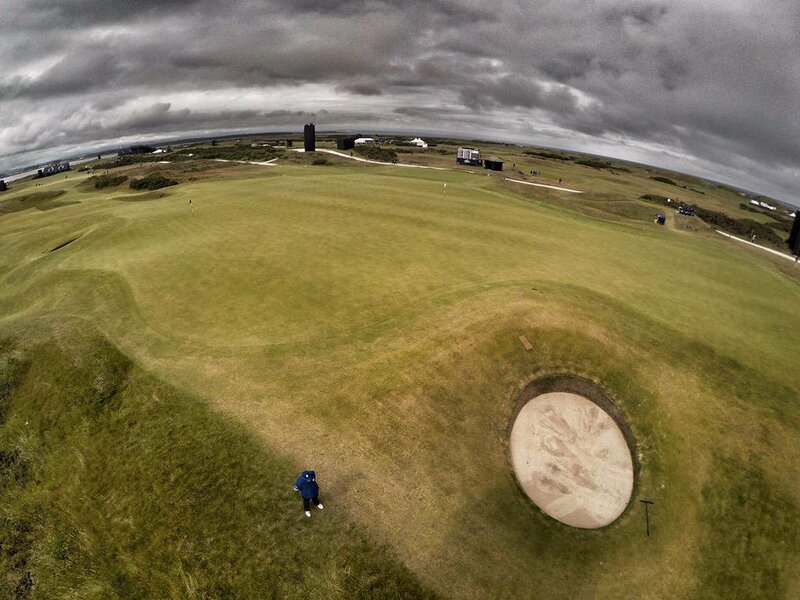 To put in perspective the amount, the biggest green on the Old Course is the 5th & 13th at 3500 square metres. The picture below shows its sheer size! 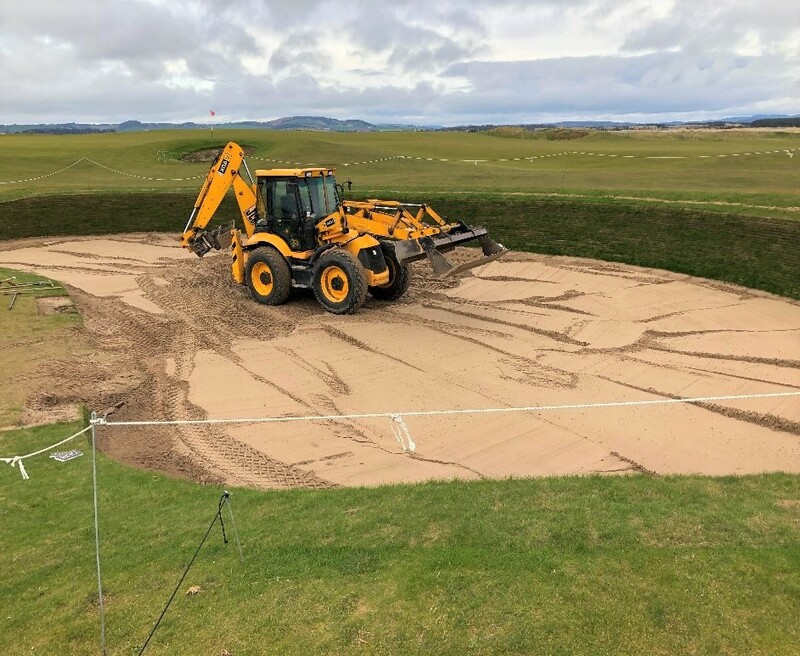 The rear of the bunker was left untouched throughout the build as this gave our heavy equipment access to unload the sand. 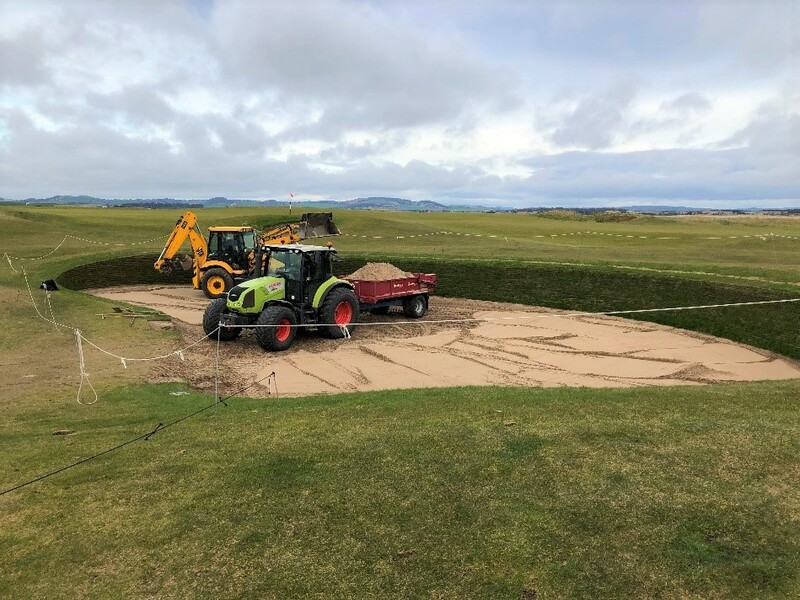 There were 60 tonnes of bunker sand deposited. 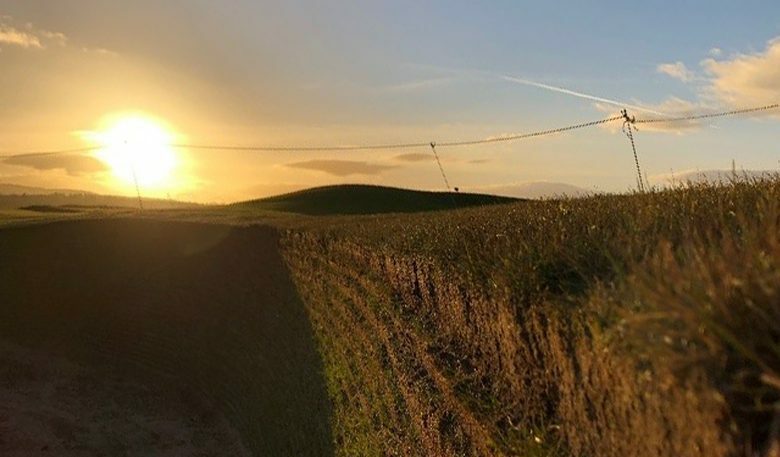 We managed to reduce the disruption around the area by accessing the bunker from the path between the 8th and 11th holes which helped golf continue around the work quite smoothly. 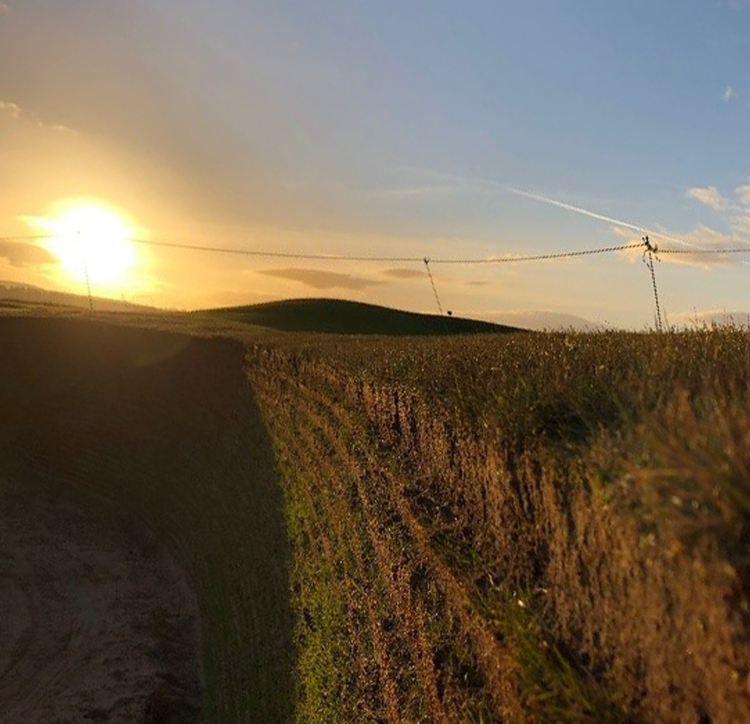 The winter so far has been fairly dry leading to issues when trying to encourage and establish new turf. The tools and products we have on hand in this modern day though help keep it alive and healthy. A wetting agent (soil surfactant) was applied not just to Shell Bunker but to all newly constructed bunker faces. 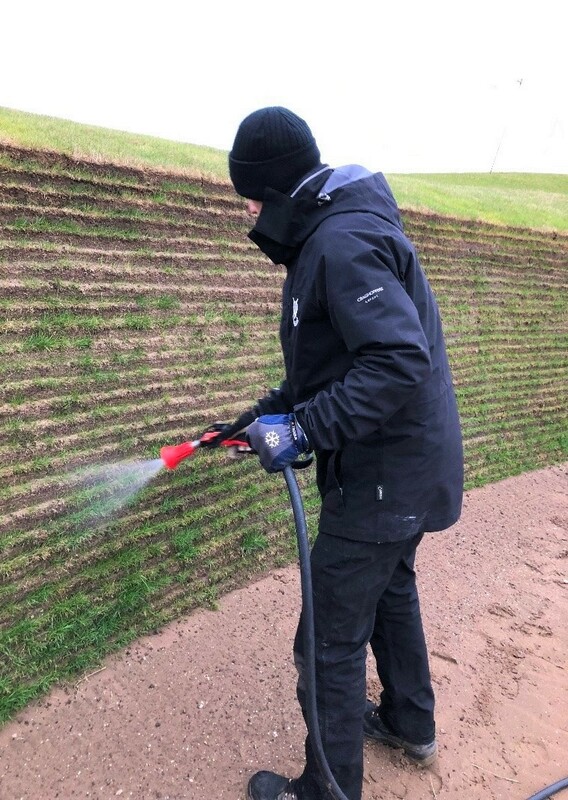 This helps strengthen and establish the bunkers by holding moisture in to aid their longevity. 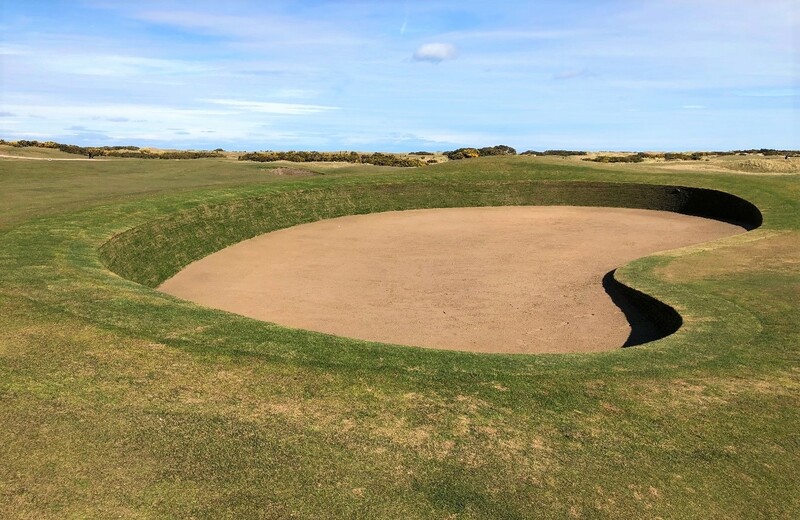 The squad on this bunker build experienced some interesting weather conditions at times and an odd stray ball here and there but overall we are delighted with the end result!